Is There Such Thing As A Helpful Travel Coupon Site? You know those Entertainment books replete with coupons and discounts for sit-down restaurants and fast food joints? Savvy travelers have long purchased the book for cities they’re visiting, reasoning that if they use even one or two of the book’s coupons during the course of their visit, the book’s purchase will pay for itself. Well, the same holds true for Hertz car rental coupons available through the Entertainment book and website ($31.50 for the book and digital access; $19.99 for digital access only) that can be used in addition to any promotional coupons offered by Hertz. For example, a $30-off Hertz website coupon brings the weekly rental cost of a hybrid sedan from $518 to $488, via promotional coupon code 193211. After that, a quick check of the Entertainment website yields a CDP (Customer Discount Program) number that I entered in a separate field while booking the car, bringing down the cost of my hybrid another $67 to $421. That’s an additional savings of 14%, which pays for the cost of my Entertainment book twice over. City dwellers have certainly heard of (and likely are frequent users of) third party food delivery service Seamless. But here's a trick to use next time you're on the road, and want food delivered directly to your hotel room – order through Seamless and avail yourself of potential first-time order discounts at selected restaurants. As Seamless serves more than 500 cities, it’s always worth checking the site while visiting one of them to scout out deals at restaurants you were planning to order from anyway. If you habitually Google your favorite retailer followed by the words “coupon code,” chances are that RetailMeNot will show up prominently in your search results. 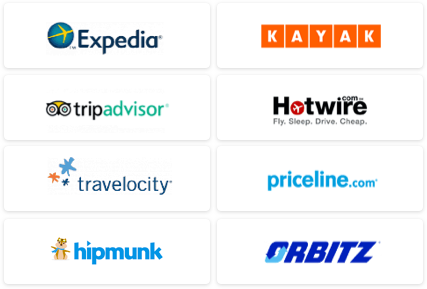 But if you don’t search the site itself, you might miss the fact that there is a travel page listing numerous coupon codes. Granted, the site aggregates coupons you’ll find on several other websites, but one of the nice things about an aggregator is that it lists coupons you may not have thought to search for independently – in my case, a 10% off coupon for Super Shuttle. Because I’m hard wired to scour the Internet for refurbished electronics that I'm usually able to talk myself out of buying, the appeal of Slickdeals is hard to resist. 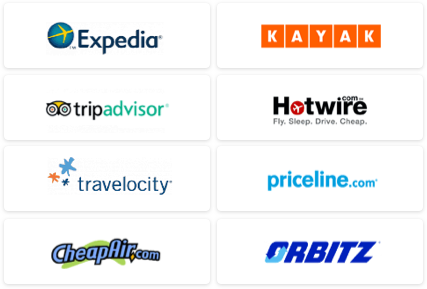 Like RetailMeNot, the site also aggregates travel deals, though often the page is a repository for Groupon Getaways (which is only marginally useful); however, scroll down the page until you come across occasional surprises, such as a recent offer for a free half hour of in-flight smartphone Internet access via Gogo. Perhaps not a deal I’m likely to use anytime soon, but it reminds me that while it’s nice to save on big-ticket purchases like airfare and hotel, there are hundreds of other vendors like Gogo and Super Shuttle whose services I never would have thought up myself, but which I will nevertheless benefit from using.